Rabbi Dr. Jacob J. Schacter is University Professor of Jewish History and Jewish Thought and Senior Scholar at the Center for the Jewish Future, at Yeshiva University. From 2000 to 2005 he served as dean of the Rabbi Joseph B. Soloveitchik Institute in Boston. He was the first rabbi of the Young Israel of Sharon, Mass., from 1977 to 1981, creating a vibrant and committed community. From 1981 to 2000, he served as rabbi of The Jewish Center in Manhattan, moving the congregation from 180 to more than 600 members over the course of his tenure, and also served as rabbi of the Maimonides Minyan in Brookline, MA from 2000 to 2005. Rabbi Schacter is co-author of the award winning “A Modern Heretic and a Traditional Community: Mordecai M. Kaplan, Orthodoxy and American Judaism” published by Columbia University Press in 1996; author of “The Lord is Righteous in All His Ways: Reflections on the Tish‘ah be-Av Kinot by Rabbi Joseph B. Soloveitchik” (2006); and close to 50 articles and reviews. He is founding editor of The Torah u-Madda Journal, a prestigious academic publication which has gained international acclaim. Rabbi Schacter holds a number of prominent Jewish communal positions. 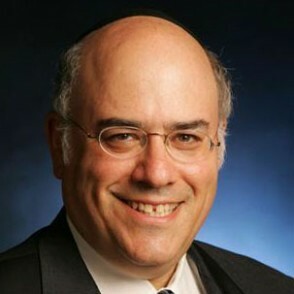 He served as founding present of the Council of Orthodox Jewish Organizations of the Upper West Side from 1994 to 2000, is a member of the board of governors of the Orthodox Union and is on the editorial boards of Tradition, Jewish Action, BDD (Bechal Derachecha Da’ehu) and Jewish Educational Leadership. The Yamim Noraim: Holidays or Days of Awe?